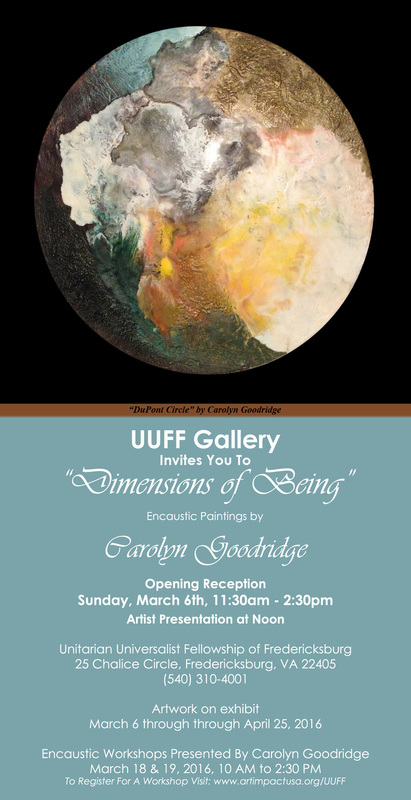 Dimensions of Being, most recent encaustic paintings by Carolyn Goodridge. ​"The mind of God is music resonating throughout eleven dimensions of hyperspace!" 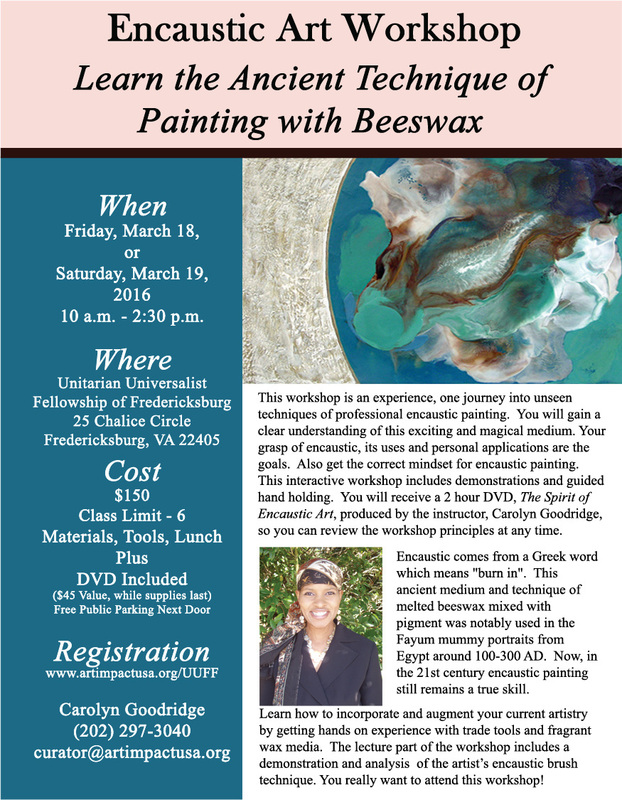 There will be an artist presentation at Noon. Refreshments will be served.